A robot waiting for its arm to be finished, the connecting cables just dangling. 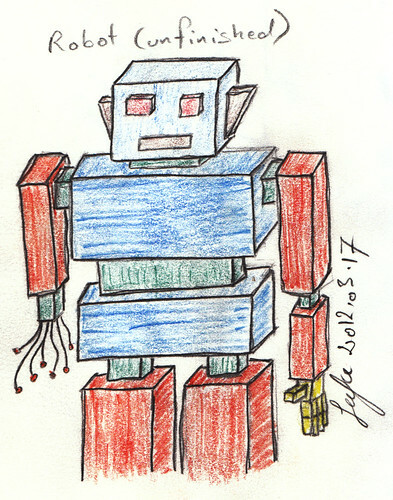 This entry was posted in Comics and tagged cartoon, colour, robot, sketch. Bookmark the permalink.